Enter Student ID, First Name, Last Name, Password (minimum 4 characters, recommend 6-8 for security), Select a voting group and click OK. At any time if you change a student Active Status to No, they will not be allowed to login. 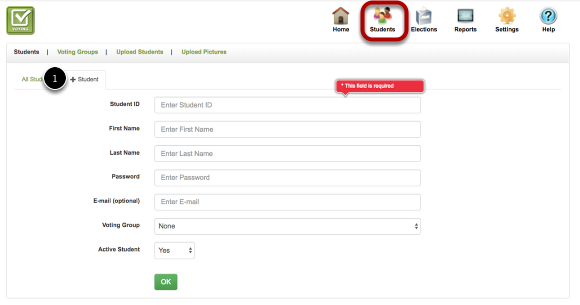 You can change student ID, Name, Password, Voting Group and mark the student as not active. Non Active students can not vote in an election. 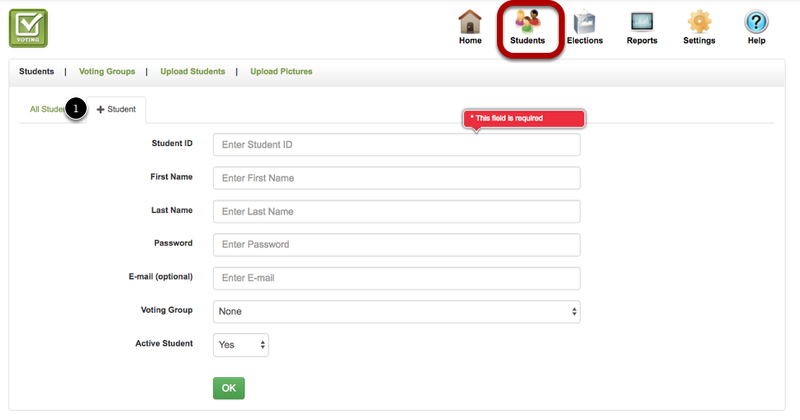 You can mass deactivate students from the Mass Update page or from the Student Page.